More Mayhem started in 2005 when some siblings of its veteran sister team, Mindstorms Mayhem, wanted to be on an FLL team. Because of the great interest in the program, the coaches decided to start another team, with four of the eight students being siblings of members on the Mindstorms Mayhem team, and with two new coaches! The More Mayhem team qualified for the 2005 New Hampshire State Tournament with a First Place Robot Performance award after the final rounds against the Flying Geeks of Nashua Christian Academy and a Third Place Quality Research Presentation award with their game show presentation. At the state tournament, the team excelled, winning First Place Robot Performance and Second Place Research Presentation. 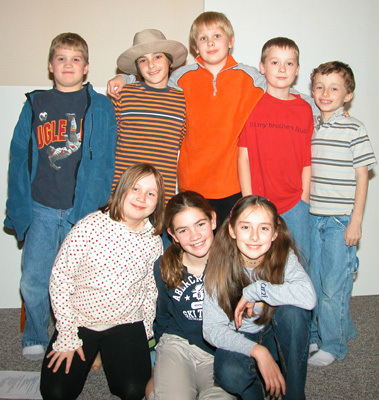 The team will continue to learn over the summer and is looking forward to the 2006 FLL season!